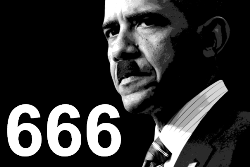 READ: OBAMA 666: WILL AMERICA’S FIRST DICTATOR PLEASE STAND UP? EARTH, Undisclosed Location — Based on breaking news and events, it appears that CIA Headquarters located beneath CERN at Lake Geneva in Switzerland is plotting a Russian bio-chemical attack in America or Europe in April of 2019, specifically to trigger World War III and/or spark a global biological pandemic. Bio-Terrorism is defined as the deliberate release of biological agents to cause illness or death in people, animals, or plants. Bio-terrorists may mutate or alter biological agents to increase their ability to cause disease, make them resistant to current vaccines, or to increase their ability to spread through the air, food, or water. That being said, Russian may deploy a fleet of B-52-like bombers especially outfitted with state-of-the-art bio-chemical dispersal equipment in order to effectively dump millions of gallons of a fatal bio-chemical agent (e.g., Novichok Agent) onto unsuspecting victims below. Back on November 21, 2016, the CIA executed a mass aerial bio-chemical attack in Australia via fleet of unknown aircraft. Although only conjecture, it’s highly likely that the CIA ordered Russia to execute the bio-chemical attack from their secret Cam Ranh Base in Vietnam. Although the unprecedented aerial bio-chemical attack was scapegoated on a never-before-witnessed phenomenon entitled Thunderstorm Asthma, it appears that the Russian chemical agent Novichok was used, a notion corroborated by the fact that the effects suffered by the Australian victims mimic those of the Novichok Agent exactly. That is to say that the victims were suddenly unable to breath and subsequently died of suffocation and/or cardiac arrest. Consequently, in the event that the CIA stages a Russian bio-chemical attack in America and/or Europe, a redux scenario is expected whereby thousands of people choke on a Novi-Choke-like agent and die in the streets. Roughly 15-months later on March 4, 2018, Russia staged its first ever bio-chemical attack in Europe when former Russian spies were allegedly attacked with the aforementioned Novichok Agent while at a mall in Salisbury, England. Needless to say, the bio-attack was designed to set the precedent for a secondary Russian bio-attack at a later date. 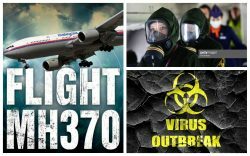 The Thunderstorm Asthma Attack in Australia on November 21, 2016, and the Russian Novichok Attack in England on March 4, 2018, transpired within a 469-day time period which confirms, at least numerologically speaking, that Russia was in fact behind the mass bio-chemical attack in Australia. The number ‘49′ equates to the letters ‘DI’ as in ‘Die’. The number ‘69 invokes’ the 6 and 9 numerology which forms the eye in C-‘I’-A when conjoined or superimposed which is why the nuclear attacks on Hiroshima and Nagasaki were executed on August 6 and 9, 1945, and why intelligence agencies like the CIA, FBI, FIS and MI6 all contain the 6 and 9 numerology (F=6, I=9, S=19). In order to help sell the notion that Russia is actively developing bio-chemical agents for attacks against America and/or her European allies, the Washington Post published a report back on March 18, 2018, entitled, ‘Poisoning of Russian Ex-Spy Puts Spotlight on Moscow’s Secret Military Labs‘. In short, the propaganda report published at the behest of CIA states that since Russian President Vladimir Putin won the election in 2012, ‘…a construction boom has been underway at more than two dozen institutes that were once part of the Soviet Union’s biological and chemical weapons establishment’.